Xiaomi last year in April launched its first gaming smartphone in China called the Black Shark with whopping 8GB RAM, running on Snapdragon 845 SoC. Later in the year, a new device called the Black Shark 2 appeared on the Tenaa and we also saw a new leaked hands-on video of the Black Shark 2 smartphone. The video showed off a Black Shark device with a dual vertically staged camera set up at the center of its back. Now, a new Black Shark smartphone has just been leaked over the internet, which appears to have a different camera placement from what we have seen in the recent leak. A new image of an alleged Xiaomi Black Shark smartphone shared today by Twitter tipster Bang Gogo. 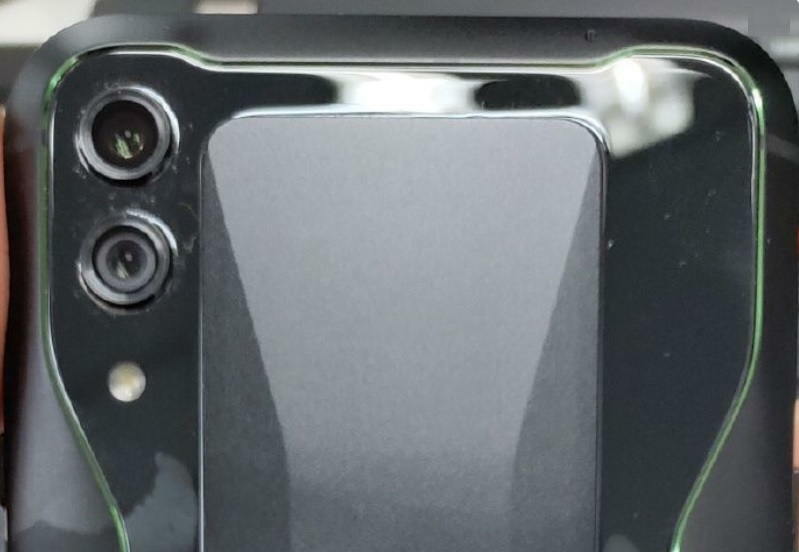 The new Black Shark smartphone in the new image appears to have a different camera placement from what we have seen on the leaked hands-on video last year. The smartphone appears to have a dual rear camera setup as we have seen in the recent leak. But the new device appears to have its camera at the left of its back. Notably, the first Xiaomi Black Shark smartphone features a horizontally placed dual rear cameras. The image doesn’t reveal any other details about the alleged Black Shark device. The new smartphone seems like the third version of the Xiaomi Black Shark smartphone which we haven’t yet heard about from Xiaomi.